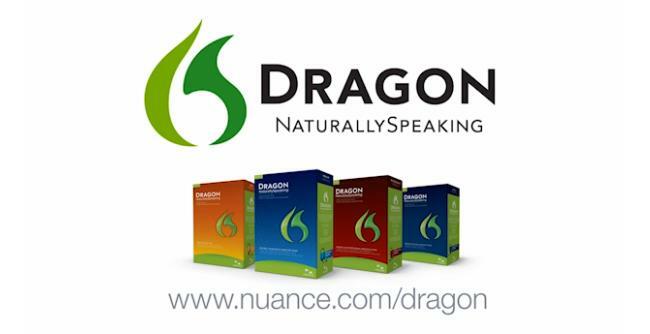 If you tend to think faster than you can type, have mobility issues that make it hard to use a mouse and keyboard, or just want to live in the future with hands-free computing, the Dragon NaturallySpeaking 12 software from Nuance can take what you say and automatically turn it into text on your computer. You can even use the software to control your PC using just your voice. You may not have heard of Nuance before, but you probably use its technology every day. In addition to its line of dictation software for consumers and professionals, Nuance powers the voice recognition in TomTom GPS, most smartphones, and hands-free control in cars. We got the chance to see the latest version of NaturallySpeaking 12 in action at the CEA Line Show in NYC last week and were floored by how accurate it was at typing out what was said in the noisy showroom. 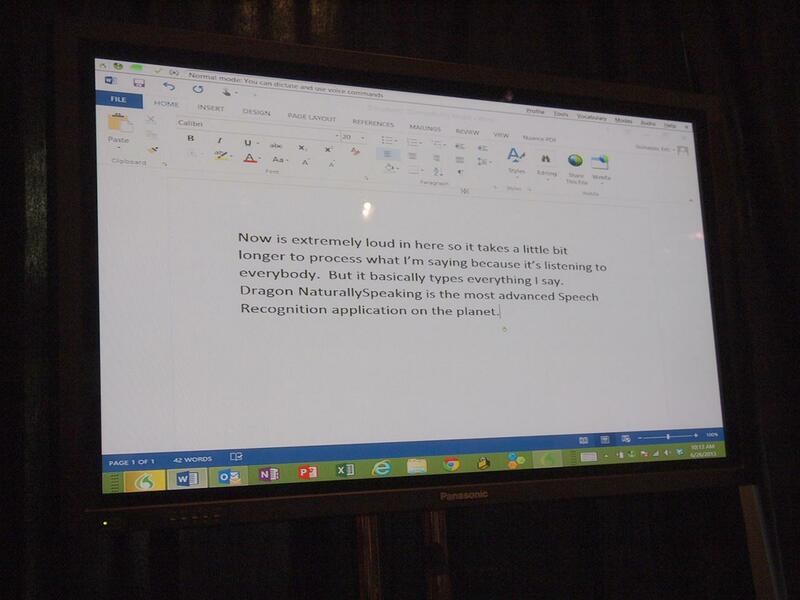 The Nuance rep, who had a headset on his head when he started talking to us about the software, would end his sentences by saying punctuation marks like “period” and “exclamation mark.” As it turns out, whatever he was saying into the headset was appearing onscreen in Word on his Windows 8-running Surface Pro preloaded with the Dragon software (as pictured). There was a slight lag between the time he would stop talking and when the text appeared on the computer, but the rep told us the delay was due to the program working extra hard to distill his words from the background noise. In addition, he was also able to apply styles, like bolding a particular word, as well as make more complicated edits like moving an entire phrase around, without reaching for his mouse or keyboard. Hands-free typing is convenient, but users want to be able to navigate their computers in a more intuitive way than with a keyboard and mouse. Good thing this dictation software is also smart enough to let you control your computer with your voice. As long as you say keywords that appear in the menu and tool bars, the software should be able to understand what you want to do. For example, you can say “open Firefox, new tab, go to Google.com” and your computer will do just that. NaturallySpeaking 12 Home Edition starts at $80 and works on PCs with at least a multi-core processor and 2GB RAM. If you just want to use your voice to jot down some notes on your Windows 8 tablet or PC, you can grab the recently released Dragon Notes app for $20. If you’re interested in the Premium version, you can find it here for $100, down from it’s original price of $200.